I doubt that anyone who rotates pastures hasn’t made the mistake of overgrazing a paddock or more at some point. Though easier to avoid in the spring when pastures are growing faster than the livestock can consume them, as mid- and late-summer roll around and forage growth slows, grazing pastures too short is hard to avoid without some serious preplanning and the willingness to adjust management on the fly. 1. Removing too much of the photosynthetic factory (leaves) severely limits the plant’s ability to recover and regrow. As such, it also sets the stage for another round of overgrazing the next time through the rotation. 3. Weeds proliferate when overgrazing occurs. Slowed plant growth and more exposed soil can easily lead to higher populations of undesirable weed species. 4. Plant root growth is severely impacted. Research studies show that overgrazed pastures result in plants that have less root mass, also being much shallower. This limits the plant’s ability to take up both water and nutrients, especially during periods of dry weather. “Not leaving enough forage biomass can cause drought-like conditions even where adequate amounts of rainfall are received,” says Rocky Lemus, Mississippi State University extension forage specialist. 5. Overgrazing exposes more of the soil surface allowing for a higher degree of runoff, less water infiltration, more soil erosion, and elevated levels of evaporation. Adequate forage cover intercepts raindrops, which slows impact at the soil interface and enhances water infiltration. 6. 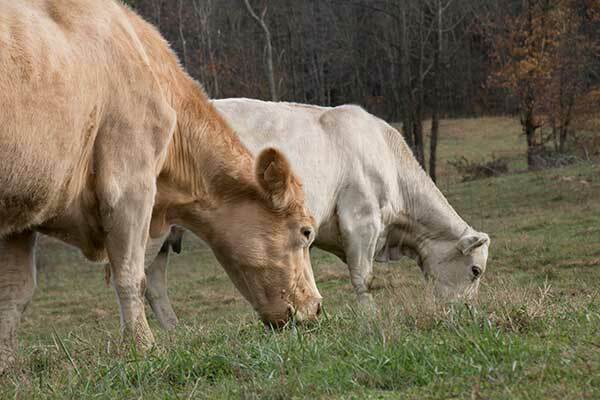 Animal performance suffers as forage intake declines when pastures are overgrazed. Milk production or gain can be impacted both short and long term if pastures are not given an adequate recovery period after being overgrazed. Overgrazing pastures, especially during periods of dry weather or when carrying capacity is pushed to the limit, is a common occurrence. Often it happens before realizing the damage has been done. There are proven steps that can be taken to keep overgrazing to a minimum or eliminate the problem all together. Though it’s never an option that livestock producers like to implement, pasture forage may need to be supplemented with stored feed. In extreme cases, livestock might need to be pulled off pastures until adequate recovery occurs. Another option is to plant a percentage of pasture acres to annual warm- or cool-season species and use these acres while perennial species recover and accumulate adequate growth. This latter option needs to be planned for ahead of time. Overgrazing still remains the single biggest mistake in forage-livestock systems. A little preplanning to avoid overgrazing can help the long-term productivity of both forage and livestock.